As baby boomers age, the number of older workers in workplaces may grow as a result. The aging of the workforce creates many wonderful opportunities for older adults to share their lifetime of knowledge and experience with the next generation. However, having a workforce with a larger number of older workers also presents some challenges because older workers tend to have a very different health concerns than those who are much younger. One area of potential concern is older workers and workers’ compensation. However, a recent report by the National Council on Compensation Insurance indicates that the aging of the workforce is likely to have less of a negative impact on the cost of workers’ compensation claims than most people had originally expected. Our Boston work injury attorneys believe that this information is very important since it can help to reassure employers and insurers that aging workers pose no threat to workers’ compensation costs. The costs for all workers over age 35 are very similar when factoring in duration of payments, treatments per claim made, daily benefits and cost per treatment. In other words, workers’ compensation costs would not necessarily be notably more for a 60-year-old than for a 35 year old. While the costs of workers’ comp claims for those over 35 are more than the costs of claims for workers under 35, the higher wages of older employees translate into higher premiums paid by employers. As such, these higher premiums can offset the added expense of workers’ comp insurance for those age 35 and up. The rate at which an older person’s mental and physical performance deteriorates is much slower than many people believe. Employers are taking extra steps to protect workers, especially older workers, from injury. One example, for instance, may include reducing the weight of heavier items that older worker might have to carry. Some employers go even further and actually provide trainers to teach stretching and treatment for aches and pains. While all of this data is encouraging, perhaps the most encouraging information for older employees and for the employers who depend upon them is that the deterioration of a person as he or she ages is slower than most people might expect. 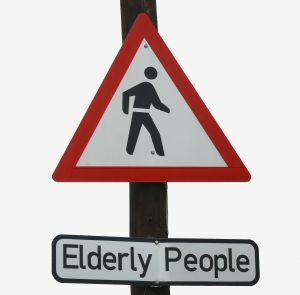 The National Council on Compensation Insurance delved into this issue, addressing an earlier study that evaluated older individuals in three key areas. The three areas included long-distance running, playing chess and sprinting. The purpose was to test mental and physical capabilities. The study determined that between ages 35 and 65, the deterioration rate when it comes to long distance running was 27 percent, so a 65 year old was 27 percent less effective in running a long distance than a 35 year old. For sprinting, the deterioration was even smaller at only 18 percent. Finally, there was only a 6 percent decline in ability from ages 35 to 65 when it came to playing chess. All of this means that older adults are not necessarily any more susceptible than younger adults to suffering work injury that would lead to a work claim. This should help keep Massachusetts’ workers’ compensation costs at a reasonable level while continuing to provide the type of insurance support that people are depending on. If you or a loved one has been injured in a work accident in the Greater Boston area, contact the Law Offices of Jeffrey S. Glassman, LLC for a free consultation. Call 1-877-617-5333.